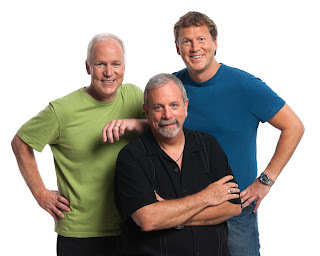 In less than one week, catch the hysterical live broadcast of RiffTrax’s MST3K Reunion Show - set to be shown live in select U.S. movie theaters on June 28 at 8 p.m. ET/ 7 p.m. CT and tape-delayed to 7 p.m. MT/ 8 p.m. PT, followed by a special re-broadcast on Tuesday, July 12 at 7:30 p.m. (local time). Come celebrate 10 years of RiffTrax with the guys who make movies funny (Michael J. Nelson, Kevin Murphy and Bill Corbett) for an amazing night of riffing and comedy with most of the original Mystery Science Theater 3000 stars. Tickets for MST3K Reunion Show can be purchased online at www.FathomEvents.com or at any participating theater box offices. Nothing But Nets campaign, to help save lives from malaria. Fans who donate atNothingButNets.net/Dawes will receive a free download of Dawes covering The Waterboys' "Fisherman's Blues." The promotion will run for 60 days. Every two minutes, a child dies from malaria. Nothing But Nets works closely with its UN partners across sub-Saharan Africa to ensure vulnerable populations including children, refugees, and families displaced by conflict are protected from this deadly disease. It only costs $10 to purchase and deliver a life-saving bed net and provide education on its proper use. Nothing But Nets to Gihembe Refugee Camp in Rwanda and saw the devastating impact of malaria firsthand. They visited children in the health clinic, sang and danced with families, delivered bed nets and personally hung them in homes. "In Rwanda, we met so many families impacted by malaria," said Taylor Goldsmith, lead singer of Dawes. "All it takes to protect a child is a simple bed net. Anyone can help us save a life." Today, there are tens of thousands of refugees fleeing violence in Burundi and Democratic Republic of the Congo, seeking shelter in Rwanda. They are weak from their journey and more vulnerable to malaria. Nothing But Nets is working to send life-saving nets and other comprehensive malaria interventions and treatment to the region to help protect these refugees. Nothing But Nets. "Dawes has supported our work for many years and we're grateful for their efforts to help us raise awareness and save lives." Nothing But Nets and its UN partners work. Last year, the campaignlaunched The Million Nets Pledge to protect refugee families from malaria with one million nets by 2016. This ambitious two-year goal aims to raise $10 million to protect vulnerable people fleeing violence, particularly in Central Africa. Nothing But Nets campaign boasts hundreds of thousands of supporters - from students to athletes to entertainers - who all help to protect families on another continent from the threat of malaria. Fans can donate at NothingButNets.net/Dawes to receive their free cover and to learn more about the fight against malaria. In case you missed it, earlier this week Garbage stopped by Jimmy Kimmel Live to perform their new single "Empty". Watch the performance HERE. 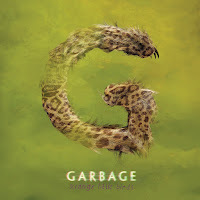 Garbage's sixth studio album Strange Little Birds was released earlier this month, via the band's own STUNVOLUME Records. The album is available for purchase both physically HERE and digitally HERE. Next month, Garbage will embark on their 'Strange Little Birds' U.S. tour. 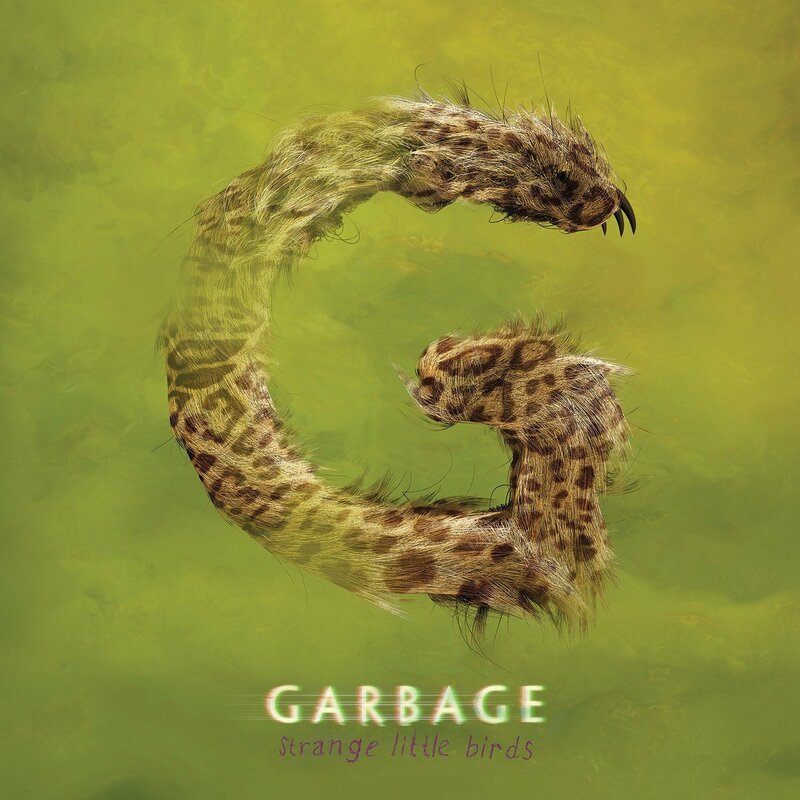 Check www.Garbage.com for tickets and additional details on VIP experience packages, including: early entry, soundcheck access, Q&As, meet and greets, photo opps with the band, exclusive merch, and more. The legendary Creedence Clearwater Revival was America's ultimate Top 40 band of the late 1960s, many of their singles now placing high on the “greatest rock hits of all time” lists and in the GRAMMY Hall of Fame, with the band itself long enshrined in the Rock and Roll Hall of Fame. But it wasn’t just the United States of America where CCR topped the charts. As Quiero Creedence now underscores, the band, which was so identified with a sound called “swamp rock,” was big throughout all of Latin America, both then and now. Releasing on Concord Picante on July 29, the Latin-inspired, multilingual tribute album to Creedence includes covers of the band’s greatest songs by some of the biggest Latin artists from around the world including Juan Gabriel, Bunbury, Andrés Calamaro, Enjambre, Los Enanitos Verdes, Juanes, Los Lonely Boys, Ozomatli, La Marisoul from La Santa Cecilia, El Tri, Diamante Eléctrico, Los Lobos, as well as Billy Gibbons. As these names indicate, the set (the title of which translates as “I Want Creedence”) spans a variety of genres and decades—and totals a social media reach of over 40 million fans for the participating artists. "This song was recorded with my old pal R. Walt Vincent. It is an ode to strength in the face of uncertainty. It stares our inevitable mortality in the eye and says: 'lets dance!' My father, your father, The Father...it may be all of them. My father, the archetype. 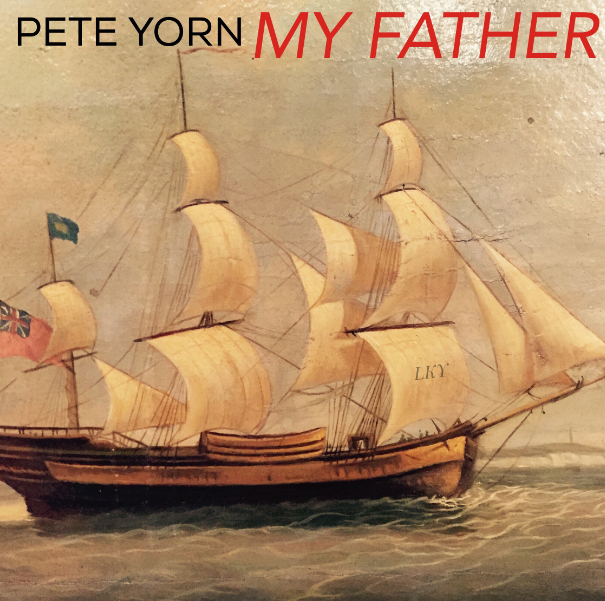 From me to you on Father's Day, I give you...'My Father.' And to my actual father....Dad, I am grateful for all the time you spent with me when I was growing up. You could have easily spent more time doing other things you wanted to do, but you were there for me. Thank you. 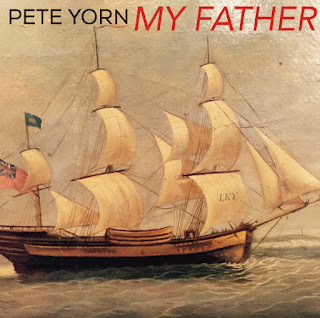 PY"
ArrangingTime (Capitol Records) - Yorn's first solo studio album in more than five years - debuted in the Top 5 of Billboard's Alternative Albums and Folk Albums charts and in the Top 10 of the Top Rock Albums chart. Yorn celebrated its release with a series of North American and European headline dates and performances on numerous televisions shows, including a return visit to "The Ellen DeGeneres Show," where he performed the album's lead single, "Lost Weekend." View his performance HERE. Entertainment Weekly noted,"propulsive cuts like 'Summer Was a Day' and 'Lost Weekend' sound refreshingly back-to-basics, like rediscovering a long-forgotten Jackson Browne record. "MAGNET Magazine noted, "the unforgettable choruses and custom Yorn finger-strum pattern are abundant. 'Roses' could be a hidden b-side onDay I Forgot, a gorgeous ballad with its ambient stack of strings, guitar and piano, complete with a spooky baritone croon capping off the chorus and evening out the harmonies: instant classic." In an 8/10 review, Uncut hailed ArrangingTime as "a creative reboot" while AllMusic.com found its "enveloping warmth...alluring." ArrangingTime marked his first collaboration with producer R. Walt Vincent since the two albums that launched Yorn's career - 2001's RIAA Gold-certified debut, musicforthemorningafter, and 2003's Day I Forgot. ArrangingTime follows Yorn'sacclaimed 2010 self-titled album, recorded with The Pixies' Frank Black, and a pair of adventurous collaborations - 2009's Break Up with Scarlett Johansson and The Olms (2013), a '60s-styled retro-pop duo with J.D. King. Tears for Fears' Roland Orzabal and Curt Smith are pleased to announce that they have rescheduled as many tour dates in the fall as possible, that were previously postponed earlier this year. Tickets purchased for the original dates will be honored for the new dates or refunds will be available at point of purchase. The UK band formed in 1981 and have sold more than 30 million albums worldwide to date. They have released four albums as a group. Their platinum-selling 1983 debut The Hurting reached #1 on the UK Albums Chart, while their second album, 1985's Songs from the Big Chair reached #1 on the US Billboard Top 200 and spawned two massive hits, "Shout" and "Everybody Wants To Rule The World." The latter won the BRIT Award for Best British single in 1986. Orzabal and Smith released The Seeds of Love in 1989, and after a break, reunited to release Everybody Loves a Happy Ending in 2004. Sony Classical will release the FREE STATE OF JONES - Original Motion Picture Soundtrack digitally and on CD June 24, 2016. The album features the film’s original score by Nicholas Britell (THE BIG SHORT, A TALE OF LOVE AND DARKNESS). Directed by four-time Oscar® nominee Gary Ross (The Hunger Games, Seabiscuit, Pleasantville), and starring Oscar® winner Matthew McConaughey, Free State of Jones is an epic action-drama set during the Civil War, and tells the story of defiant Southern farmer, Newt Knight, and his extraordinary armed rebellion against the Confederacy. Banding together with other small farmers and local slaves, Knight launched an uprising that led Jones County, Mississippi to secede from the Confederacy, creating a Free State of Jones. Knight continued his struggle into Reconstruction, distinguishing him as a compelling, if controversial, figure of defiance long beyond the War. Steve McQueen’s Oscar-winning film 12 YEARS A SLAVE, for which he composed and arranged the on-camera music including the violin performances, spiritual songs, work songs, and dances. Britell also composed the score for Natalie Portman’s directorial debut feature film A TALE OF LOVE AND DARKNESS which was selected for a special screening at the 2015 Cannes Film Festival. Times, New York Magazine, and Vogue, which called him among “the most talented young artists at work.” He was awarded the Henry Mancini Fellowship from the ASCAP Foundation in December 2012 and also won the ASCAP/Doddle Award for Collaborative Achievement. Britell is a Founding Member of L.A. Dance Project and is a Board member of the New York-based ensemble Decoda, the first-ever affiliate ensemble of Carnegie Hall. As a pianist, for the past five years, he has been performing as part of the critically-acclaimed “Portals” project with violin virtuoso Tim Fain. He produced the short film WHIPLASH, directed by Damien Chazelle, and subsequently co-produced the Oscar-winning feature film WHIPLASH. 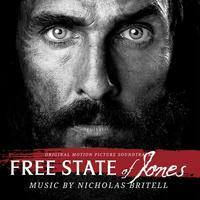 Sony Classical will release the FREE STATE OF JONES - Original Motion Picture Soundtrack digitally and on CD June 24, 2016. STX Entertainment is a diversified, global media company built for the 21st century. STX’s integrated platform develops, produces, markets and distributes talent-driven content across film, television and digital media distribution channels. Led by accomplished businessman Robert Simonds, STX was co-founded by Bill McGlashan, managing partner at leading global private investment firm TPG. For more information, please visit https://www.stxentertainment.com/. "...if this inaugural edition was any indication, this could be a great festival for years to come." The Little Pilgrim's Family Stage will feature performances by Ralph's World, The Happy Racers, Tom Mason and the Blue Buccaneers, Mr. Steve, Jazzy Ash & The Leaping Lizards, and more. The Little Pilgrim's area will not only feature performances by these top children musical acts but will also have interactive activities that will include: a painting wall; drum circles; a hip hop rhyming workshop; breakdancing demonstrations and workshop; a musical petting zoo featuring musicians from the bands demonstrating their instruments and special cameos by main stage acts! "In addition to the incredible artists we have added to the lineup, we have also teamed up with local and regional sponsors, restaurants, food trucks and festival vendors that includes great partners like The Frye Company Harpeth River Stage." 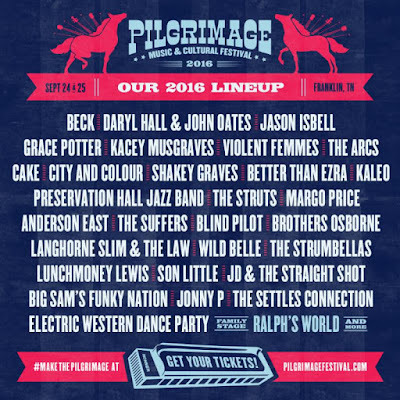 For more information, please visitwww.pilgrimagefestival.com. 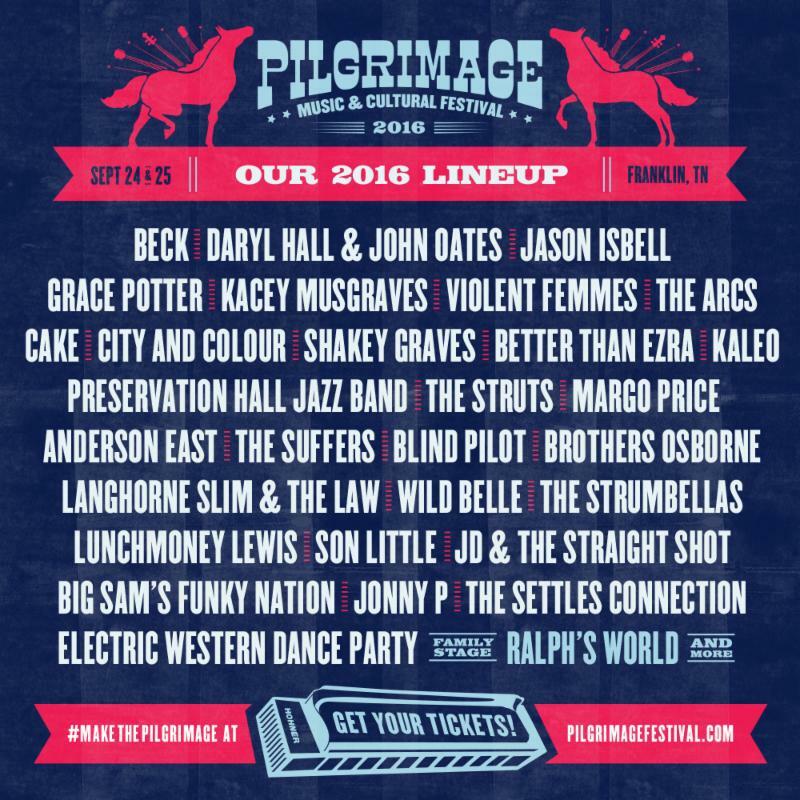 Pilgrimage Music & Cultural Festival is a two-day event transforming The Park At Harlinsdale Farm into an oasis of music, food, and culture set against the natural amphitheaters and vistas of this former walking horse farm located in Franklin, TN. Renowned musical acts, many performing acoustically, will be presented on wood-clad stages reflecting the area's historic aesthetic. In addition to artists performing their own sets, Pilgrimage will feature Pilgri-mashupswhere one-of-a-kind pairings of musicians collaborate with one another on stage. The region's best food and drink will be on display as well as numerous local artists and artisans creating an all-encompassing festival experience. The festival debuted last year with a star studded lineup featuring artists such as Willie Nelson,Wilco, Weezer, Sheryl Crow, Cage theElephant, Band of Horses, Steven Tyler and more with 10,000 fans descending upon the Park at Harlinsdale Farm in Franklin each day. To watch the highlights from last year's festival, PRESS HERE. Not only will the festival drive tourism dollars to Williamson County but a portion of each ticket sale will benefit the City of Franklin and Franklin Parks. In addition, a portion of ticket sales will also benefit MusiCares®, a nonprofit organization that was established by The Recording Academy® to provide a wide range of emergency financial assistance and addiction recovery resources to members of the music community. The Pilgrimage Foundation was established to develop, in conjunction with the Pilgrimage Music & Cultural Festival, a non-profit program whereby organizations that support the arts, artists, historic preservation and education may benefit from the growth of the festival. Each year several organizations will be chosen to participate and benefit from the festival in ways that include publicity, events, and donations. About Friends of Franklin ParksThe not-for-profit organization Friends of Franklin Parks was formed in 2011 to mobilize community resources to continually enhance the City of Franklin's park system. In 2015, Friends embarked on a $1.3 million effort to construct a multi-purpose equestrian arena at the Park at Harlinsdale Farm. The new Tractor Supply Co. Arena is slated to open in April 2016, and will host numerous public events ranging from polo matches to concerts. For more information, please visit www.friendsoffranklinparks.org. About MusiCaresEstablished in 1989 by The Recording Academy, MusiCares provides a safety net of critical assistance for music people in times of need. MusiCares' services and resources cover a wide range of financial, medical and personal emergencies, and each case is treated with integrity and confidentiality. MusiCares also focuses the resources and attention of the music industry on human service issues that directly impact the health and welfare of the music community. For more information, please visit www.musicares.org. For breaking news and exclusive content, please like "MusiCares" on Facebook, follow MusiCares on Twitter (@MusiCares), and join us on Instagram.